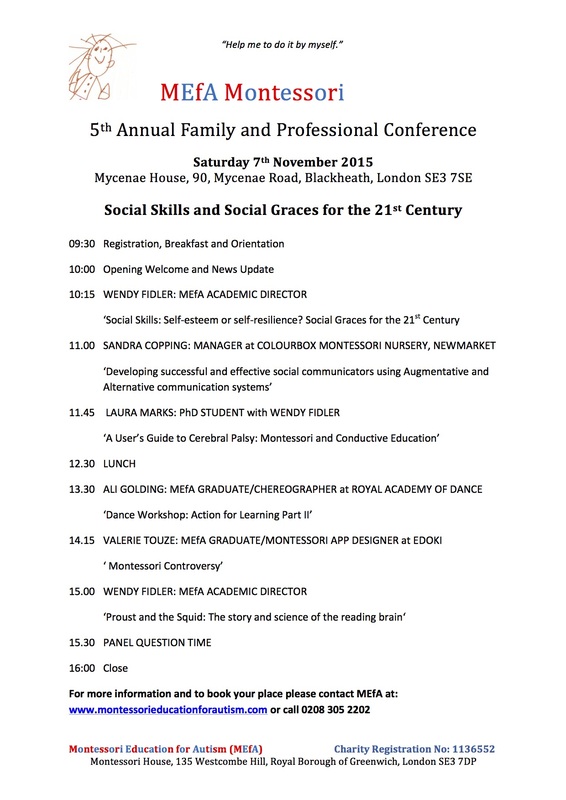 MEfA will be hosting its annual conference this Saturday 7 November in Blackheath. I’m not speaking this year but it looks to be a fascinating day discussing various aspects of “Social Skills and Social Graces for the 21st Century”. Do attend if you can!